Soil management and root management are essential to good tree health. The goal of soil management is to keep the soil composition balanced and enhance the quality of the soil. Soil is comprised of air, water, minerals, and organic matter. Making sure these are balanced is critical to root growth and overall tree health. 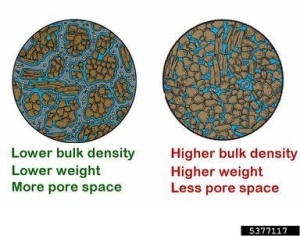 Unfortunately, urban and suburban landscape trees often reside in soils that are compacted, not the right moisture level, and lack the nutrients needed for growth and development. By taking an interest in your tree’s soil management and hiring a professional tree company you can easily keep your soil healthy which is turn creates healthy roots and a healthy tree. Soil Management – What is Soil Made Of? Soil is made up of four main components; minerals (rock, sand, clay, silt), air, water, and organic matter (matter from dead plants and animals). 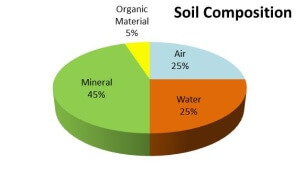 Typical soils are about 50% solids (45% Minerals, 5% Organic Matter) and 50% pore space which are filled with water and air. 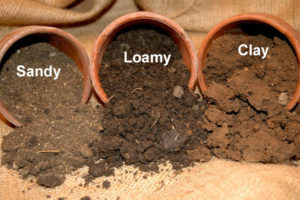 There are six main types of soil; clay, sandy, silty, peaty, chalky, and loamy. Each type has different characteristics and will require different tactics of soil management. Easily compacted during dry summer months. May be lacking minerals such as manganese and iron. 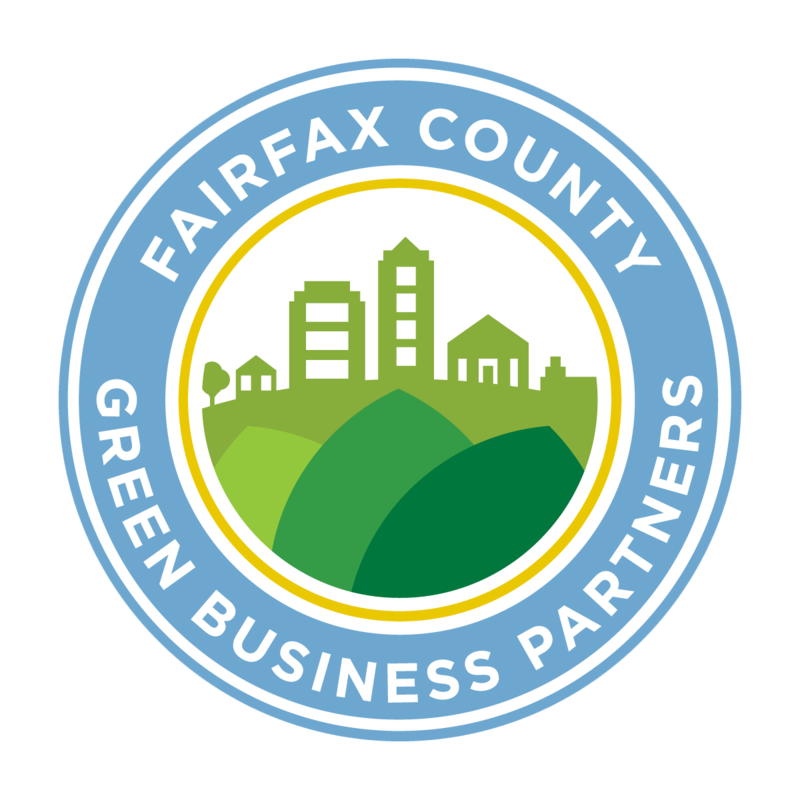 In most urban and suburban areas the soils are very compacted, typically due to construction or high traffic which is why soil management is so important. For example in forests, the top 6 inches of soil is 50% oxygen. However; the average urban soil is only 10% oxygen. This lack of oxygen and pore space doesn’t allow enough water, oxygen, or nutrients to reach the tree’s roots. This can create problems for root growth and the health of the tree overall. Aeration: We use high-velocity air tools and techniques to properly aerate the tree’s critical root zone (CRZ) loosening the soil. This creates macro and micropore space, making room for root growth. Trees are living organisms and require nutrients to grow and survive. Trees in the forest have an abundance of nutrients because of the delicate forest environment that has evolved over millions of years. The trees in our yards; however, are a whole other story. As we rake away leaves, twigs, and fallen bark we remove nutrients that would have naturally decomposed and entered the soil, feeding the tree. To ensure your tree has all the nutrients it needs our Arborists recommend fertilizing your tree using bio-stimulants as a form of soil management. 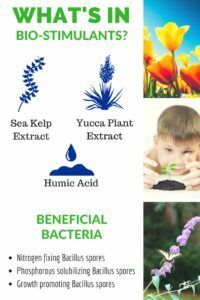 Bio-Stimulants – Soil Management: This mixture contains a natural blend of sugars, bacteria, humic acid, sea kelp extract, and fungi. This mix is great for soil management because it naturally fertilizes the tree without throwing off the soil balance. By introducing this blend to the critical root zone it will re-establish good soil composition and act as a multi-vitamin for your tree. If your tree is suffering from nutrient deficiencies and compaction our arborists may recommend Vertical Mulching as a form of soil management. Vertical Mulching – Soil Management: This process is similar to de-compaction but goes one step further. Vertical mulching uses the same high-velocity air tool, as de-compaction does, but the technician creates holes every 2 to 3 inches in the critical root zone. These holes are then filled with organic matter which permeates improves the overall composition. Water is essential to the health of trees. But just like all the other aspects of soil management, it is important to find a balance. Soil Management: If your soil is too dry make sure you are watering deeply and thoroughly 1 to 2 times a week. Take your cues from your trees soil. You want it to be moist but not soaking. You should NOT be able to make a mud ball out of the soil. It’s also okay for some portions of the soil to be wet and some to be dry. Learn more about how too much water can hurt your trees. 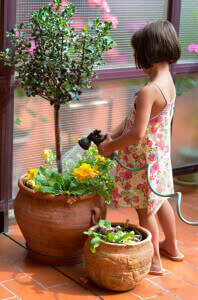 Soil Management: If your tree’s soil is too moist take a break from watering for a couple days. If you’re still having issues with too much moisture (and it hasn’t been an especially rainy week) you may need to invest in a drainage system. If you can’t fix this issue through soil management, you can also look for trees and shrubs that like very wet soils and aren’t prone to fungal diseases. The root system of the tree is the most important part of its structure. Unhealthy or diseased roots will cause tree failure, making the tree a hazard. Most problems are not visible without the process of air spading (exposing the tree roots). Root Collar Excavation: When trees are showing signs of possible root issues our Arborist will most likely recommend a root collar excavation. In this process, we will use high-velocity air tools to blow away the soil and expose the roots. This then allows the Arborist to diagnose the tree’s root issues and describe what management is needed. The most common problem with roots in our area is Girdling Root Syndrome (GRS). GRS is typically found in trees that were planted with burlap/wire baskets or planted in walkways /near concrete. Often times these roots struggle to survive in such small areas and end up “choking” and “strangling” themselves rather than being able to spread out and expand far out into the ground. GRS Management: To solve this problem girdling roots are hand pruned to avoid tearing and to help release pressure and allow the tree’s roots to grow.